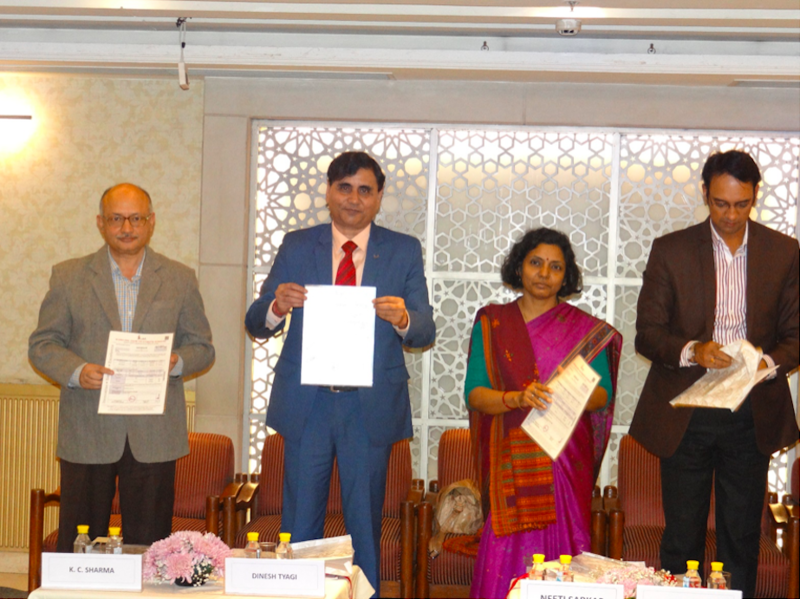 International Centre for Automotive Technology (ICAT) launched the Certification with high security features at India Habitat Centre, New Delhi. Shri Priyank Bharti, Joint Secretary, MORTH in the presence of Smt. Neeti Sarkar, CEO, NATRiP Implementation Society, Shri K C Sharma, Advisor, MORTH, Shri Dinesh Tyagi, Director, ICAT and Smt. Pamela Tikku, Senior General Manager, ICAT released a new ICAT certificate format. While some of the security features are generic in nature (i.e. same for all the certificates), the other features are specific for each certificate i.e. the contents or the information covered through these features will be specific for that particular certificate. 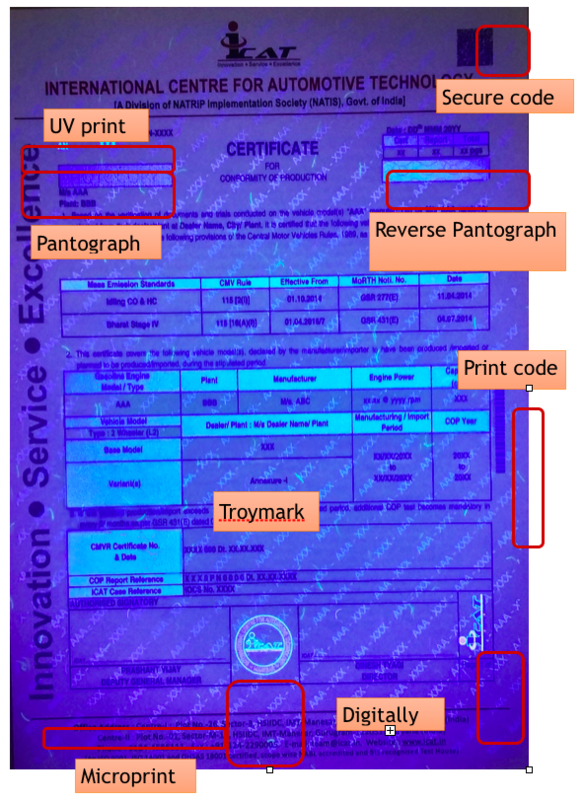 Another distinction is that some of the features are visible only through ultraviolet light. The certificates will be printed using special printers which have been imported by ICAT for this very purpose. The event was attended by officials of SIAM, ACMA, OEMs viz. Maruti Suzuki, Toyota, Volkswagen, Honda Cars, Mahindra, Tata etc., and component manufacturers viz. Denso.